A New Way of Seeing. A New Way of Doing. In this rapidly changing business environment, leaders find themselves facing unprecedented complexity and challenge. Often a leader’s natural response is to dig in, double down, and do more of what they believe has led to their current success. Sometimes, this is exactly what’s needed. Have you ever considered that what got you here might not get you there? And how do you know? At Vista Leadership, we partner with you to dig deep and examine how the way you see the world influences the way you lead – and the results you’re currently getting. We explore what’s getting in your way. We work together to clarify what you want to achieve. Finally, we help you re-discover the competencies and mindsets you need to get there. Individual coaching designed to address issues of critical importance to you. Whether you are a new leader finding your footing, an experienced leader taking on greater challenges, or a highly seasoned executive considering your next steps, we partner with you to understand your goals and determine a course of action to achieve those goals. Bob Anderson, author of Mastering Leadership, says “The organization cannot perform at a level higher than the collective effectiveness of its leadership.” If you are truly interested in improving your organization’s performance, take a hard look at the collective effectiveness of your leaders. We take a cohort based approach to leadership development focusing on improving individual leadership effectiveness to drive improvement in the team’s effectiveness. Highly effective leaders don’t need to be coaches, but they do need to have coaching skills. Why? Because coaching others is the number one way to make your leadership scalable. No matter how talented you are, if your leadership doesn’t scale, you will eventually exhaust yourself or be met with diminishing returns on the effort you are expending. We work with leaders one on one and in group settings to grow the mindsets and skillsets leaders need to powerfully coach others. A uniquely powerful 360 degree assessment designed to build self-awareness and accelerate the pace at which leaders develop their consciousness and improve their effectiveness. Highly customized interview, analysis, and reporting process to gather stakeholder feedback. A 75 minute interview and a 45 minute reporting session in which the interviewer, using adult development theory as a guide, assesses the client’s stage of development and offers practices (Habits of Mind) for moving to the next stage. My relationships and my career are in a completely different place. In the year that we worked together we surfaced some longstanding leadership challenges that I had been ignoring. Tracy created a safe space for me to learn how I was undermining my effectiveness as a leader and develop a plan to bring forward my best self. She helped me find the joy in work that I had been seeking. Tracy is a phenomenal coach, mentor and person! Her lead facilitation on our school’s purpose, mission and vision work this spring brought together a diverse group of stakeholders towards a common goal. Her intelligent, creative, calm and reflective approach to coaching created a safe, fun and productive process. Coaching with Tracy was a profound experience. She approached every coaching call with uncanny grace, sophistication and intelligence. Where most would provide a pat answer, Tracy listened deeply, asked insightful, unexpected questions, and helped me find my own honest outcome (or “true north”). Add to that her compassion, professionalism and humor and you can’t find a better coach. Thank you so much for your support last year. Our work together has truly made me see the world differently. We purposely chose the name Vista Leadership because we believe “it’s all about the view.” Whether it’s taking a step back to get the bigger picture; stepping aside to get a different perspective; or choosing to explore someone else’s point of view, development work is all about what we see. What patterns do we see in our own behavior or the world around us? What perspective do others hold about this issue? Can we actually teach ourselves not only to see the world around us but also to examine the way in which we see the world? To actually get perspective on our perspective? For us, great coaching is about helping people see things differently so they might do things differently. In order to do this, we take an inside out approach adhering to the belief that to truly develop one’s leadership effectiveness, leaders must not only develop their competence or skill but also grow their level of consciousness. We believe that leadership development has historically been overly focused on teaching people skills and competencies. While this is certainly important, building new skills and competencies without evolving consciousness typically leads to short term change. True transformation is not about knowledge acquisition or information gathering. It’s about evolving the way in which we see the world. 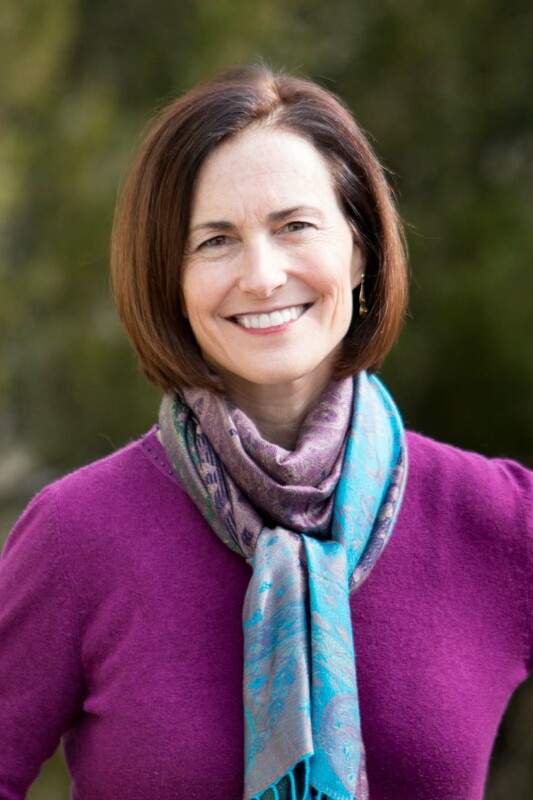 As founder and principal of Vista Leadership, Tracy brings over 30 years experience as a consultant, leadership coach, and organizational development practitioner. She began her career as an experiential educator, creating break-through learning experiences for at-risk youth. In 1989, she joined Pecos River Learning Centers and began utilizing her expertise to create high impact, transformational experiences in the corporate sector. While at Aon Consulting, Tracy co-led the development of The Change Architecture Process, a step by step guide to leading large scale culture change in organizations. After 15 years coaching and consulting, Tracy joined the Customer Experience Department at Kaiser Permanente, where she led project teams in their efforts to improve service and build customer loyalty. She designed and delivered service curricula, coached leaders and staff, provided expertise on building employee engagement, and led strategic projects requiring a strong foundation in the integration of human and business systems. In 2015, Tracy founded Vista Leadership, an executive coaching and leadership development practice. She uses her deep and diverse background to support change efforts at all levels working with individuals, teams, and organizations in a variety of industries, including manufacturing, financial services, and healthcare. Tracy’s deepest passion is helping leaders and teams focus their energy to create more meaningful impact. Leaders who have worked with Tracy describe her as authentic, clear, intuitive and committed. She is known for nudging people outside of their comfort zone to experience profound levels of self-awareness, growth, and personal reward.